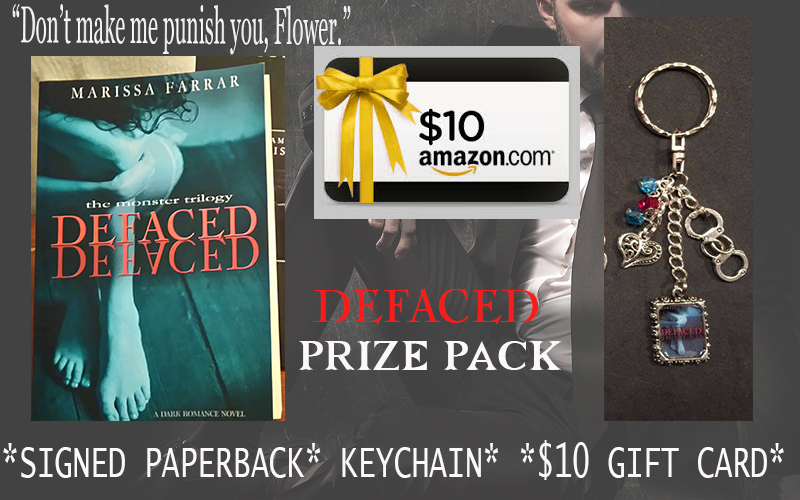 Marissa Farrar: GIVEAWAY and get Defaced in Audiobook! Read to the end of the blog to enter! 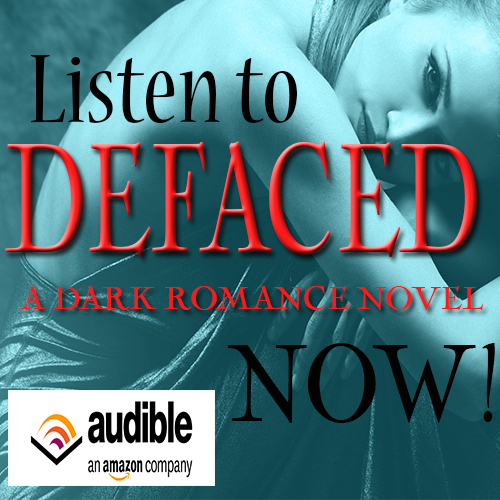 You can also get the ebook of 'Defaced' for only 99 cents for the next few days only! 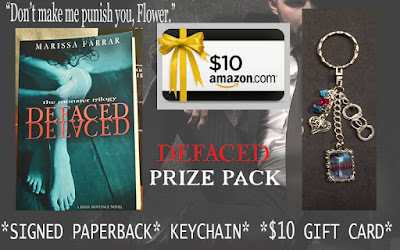 GIVEAWAY FOR THE DEFACED PRIZE PACK! Enter as many options as you want. Hi. You're a new to me author so I don't have any experience with your characters. I intend to remedy that very soon! To be honest haven't read any yet, but Lily sounds interesting. You're a new author to me. I haven't had the chance to read any of your books yet. Intend to fix that soon. I purchased both the book and audio book, the are next up on my TBR list. You are a new author to me, so I'm not familiar with your characters yet. I'll be changing that very soon though. TY for the opportunity! Lily sounds like a fascinating character! I haven't read any of the books yet, but I would love to! New author to me, but have seen great reviews on your writing style. Looking forward to reading DEFACED. I havent read any of your books so I don't have a favorite character but I would like to read one. Hooe I get the chance. Max is my favorite character. I haven't read any of your books yet but they sound great. Wow, thanks for the chance to win this. Thanks for the chance to wine. I don't really have a favorite character as this time. I think my favorite character is the one I am reading, then I go to the next book and that's my favorite character. I am a new reader of yours, so I don't know any character of yours yet!! I am looking forward to enjoying reading your books and hopefully getting to know them. I think Lily is going to be my favorite! Elizabeth is my favorite character. I have not read your books but I sure want to. Thank you so much for the chance in your generous giveaway. I am crossing my fingers. I really want to read this book and thank you for the giveaway! I have to say that my favorite is Blake. So far, my favorite is Chogan Pallaton. So far. I have not read anything published by you as of yet so I do not have a favourite character. Thank you for your giveaway. I haven't read any of your books yet but I am looking forward to it. No favorite yes, as I'm new to you, but I can't wait to read Defaced. Elizabeth from Twisted Dreams is my favorite. My favorite character is Blake. Thank you for the chance. You are a new author to me. Looking forward to reading your books. Love your books, can't wait to read more. Melissa is a new author to me. Enjoyed the sample of Defaced. Sounds great. I'm new to your list and haven't had a chance to read your books yet. The winner is Sheila Conway! Thanks to everyone for taking part!